Or even better, don’t go out and we will upholster the walls with more books. Not to save us, but to augment our weight, to sink together, comforted in the depths. Puns await those with a firm grasp of both languages, as the Hebrew originals are maintained alongside their translated counterparts. 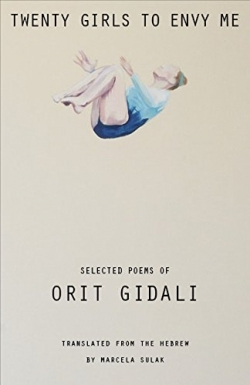 Whether Gidali is wrapping her words tenderly around her children, pushing aside worries about their futures with the IDF, or contemplating the evolution of love by aligning it to that for a biblical king, she arrives at meaning, or strives toward it, poignantly.